After seeing the great Angkor Thom, the next stop was Baksei Chamkrong, just outside it. There’s a steep flight of steps to climb up, but it’s quite small in area. Great view from the top. Its dedicated to Shiva, but now all the temples have become Buddhist and so all statues are of the Buddha. Close to this is the Phnom Bakheng, or central mountain. There’s a 20 minute easy climb uphill to the top where there’s a temple, and what’s unique about this is that you can see the Angkor Wat from the top of the temple. 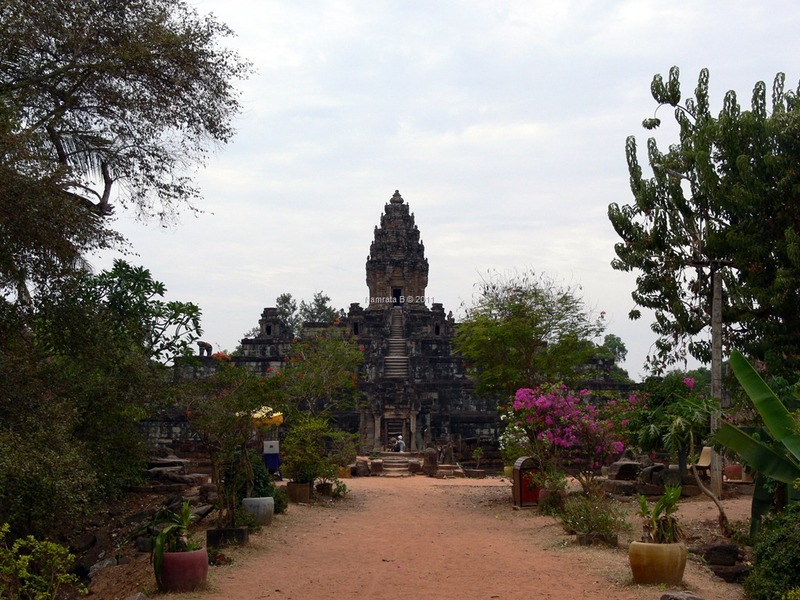 The temple at Phnom Bakheng was constructed more than 2 centuries before the Angkor Wat. I went in the afternoon, when it was fairly quiet. Its extremely crowded at sunset because there’s a good view. But the steps to climb to the top of the temple are very steep and no more than one person can climb at a time so its single file, which adds to the crowding. I enjoyed this because of the panoramic views. So after all this, it was time for the famous Angkor Wat! 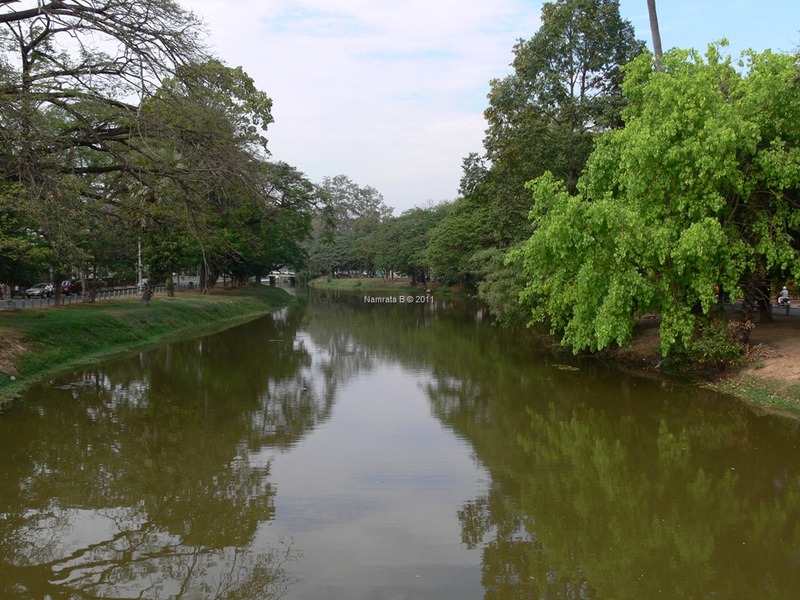 There’s a moat with large body of water at the entrance, The entrance itself involves a long walkway to the main doorway and then an equally long walkway inside upto the main temple. Its imposing simply in the area it covers and how sprawling the grounds and the structures are. Angkor Wat means city temple. It was built for the king Suryavarman II in the early 12th century as his state temple and capital city. As the best-preserved temple at the site, it is the only one to have remained a significant religious centre since its foundation – first Hindu, dedicated to the god Vishnu, then Buddhist. It is the world’s largest religious building. It’s difficult to understand where to begin here! But eventually I followed the typical route of seeing all the bas-reliefs that line the outer wall of the temple counter-clockwise, then moving to the inner area and so on until I reached the central area with the towers. Just looking at everything that has gone into the creation of this temple is mind boggling. 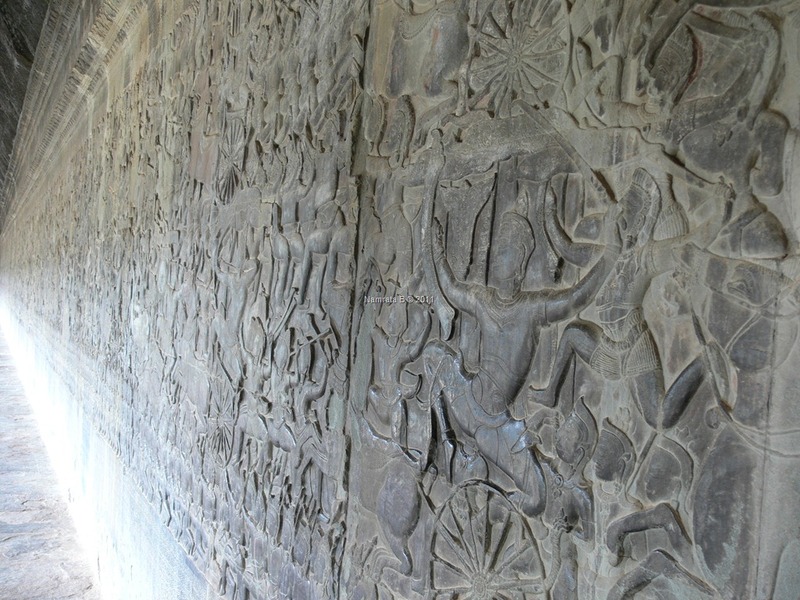 The bas-reliefs are detailed and fill the entire length of each wall. There’s the concluding episode of the Mahabharata, scene from the Ramayana, the depiction of the Churning of the Sea of Milk and many more. The detailing on each would be impossible to assimilate in a single visit. The inner areas have many terraces and pillars leading to the central tower which has 4 different Buddhas. The view from this section of the entire Angkor Wat shows the vastness of space. Easily spend a few hours here so save enough time for it as it closes in the evening. This is a place that you can lose yourself in! Its magical. On my last day, I thought I would squeeze in some time and go see the temples of the Roluos Group. 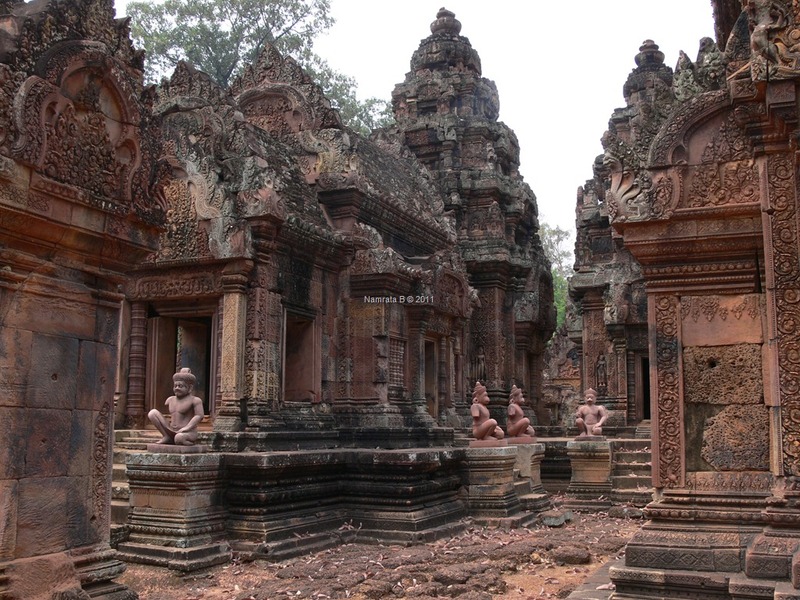 Lolei, Preah Ko & Bakong were some of the earliest permanent structures built by the Khmer. 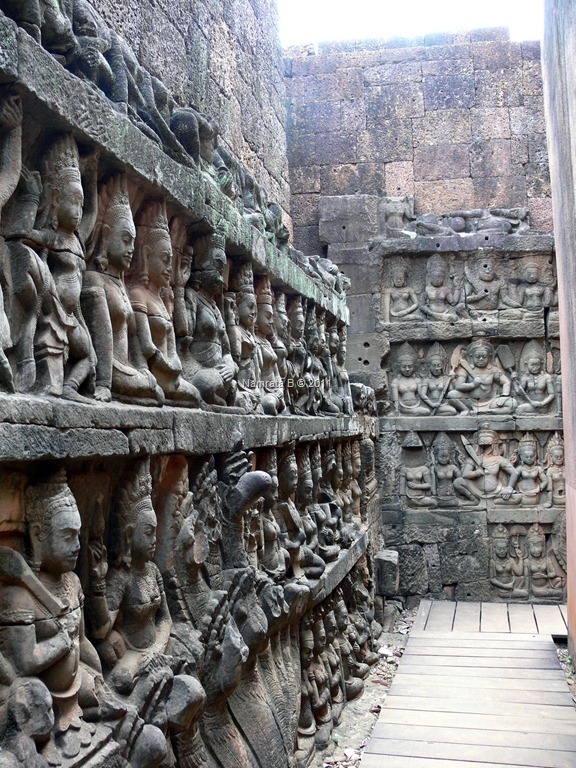 They mark the beginning of classical period of Khmer civilization, from the late 9th century. Not in as good a condition as the other temples, they are nevertheless worth a trip to see how the temple styles evolved. The most picturesque is the Bakong which was the official state temple of the King Indravarman I. It is situated on a river & has a lovely garden & so makes for a pretty sight. This concluded a beautiful and memorable trip to Siem Reap. It has stayed in my mind since then and the effect it has is quite frankly hard to forget. Perhaps just like Bhutan has stayed in my mind – its the combined effect of monuments and nature. While I soaked in so many temples on my trip, it definitely warrants another visit at a different time of the year. After monsoon and in the onset of winter, because the water bodies at most temples are full and you can see it in completely different light as well as get some spectacular views during sunrise and sunset. Someday, I will be back in Siem Reap. The most anticipated part of my trip… seeing the Temples of Angkor! Fairly easy to organise a trip, either opt for a Tuk Tuk to take you around, or you can even cycle as the roads are well marked. AC taxis are also available. I opted for a Tuk Tuk. I had read about the various temples earlier so I planned a 3 day itinerary, which I discussed with the Tuk Tuk driver, Vanny. He was really helpful and suggested the route for each day. I chose to do some of the farthest temples on Day 1 so that I don’t run out of time later. Nothing can really prepare you for what you see at Angkor. If you are interested in history, it’s a world you can get lost in. No matter how dilapidated some of the structures are, they are an unforgettable sight & take you back to a time when life was about god-like worship of kings. The first temple I went to was Ta Prohm, originally called Rajavihara. Ta Prohm means ‘ancestor Brahma’. 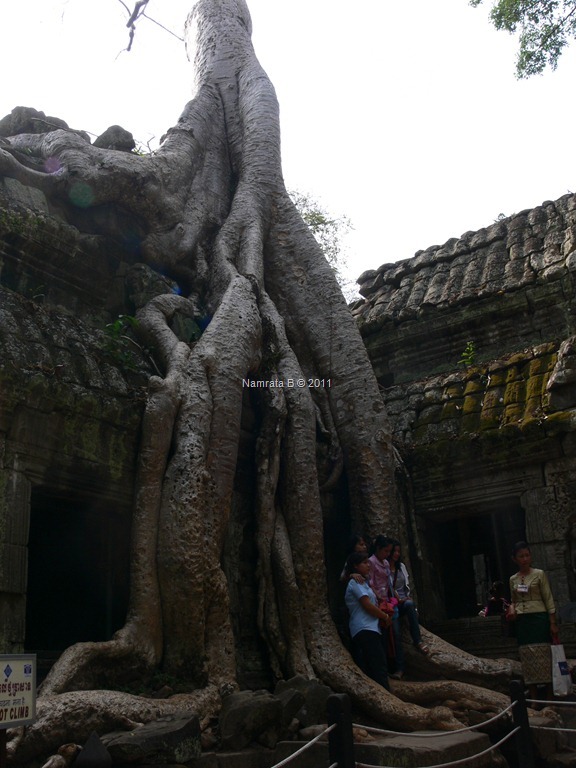 Its popular with tourists because nature has virtually take n over the temples, large trees grow out of the structure and make for a unique sight. Ta Prohm is also being restored with help from the Indian govt. It has a lot of headless statues as do almost all the temples, since the temples have been looted through history especially during the Khmer Rouge era. The elaborate carvings on the pillars of apsaras and kings are lovely, and soon became a familiar sight as I visited more temples. Many stones lie on the ground from fallen towers and broken pillars. 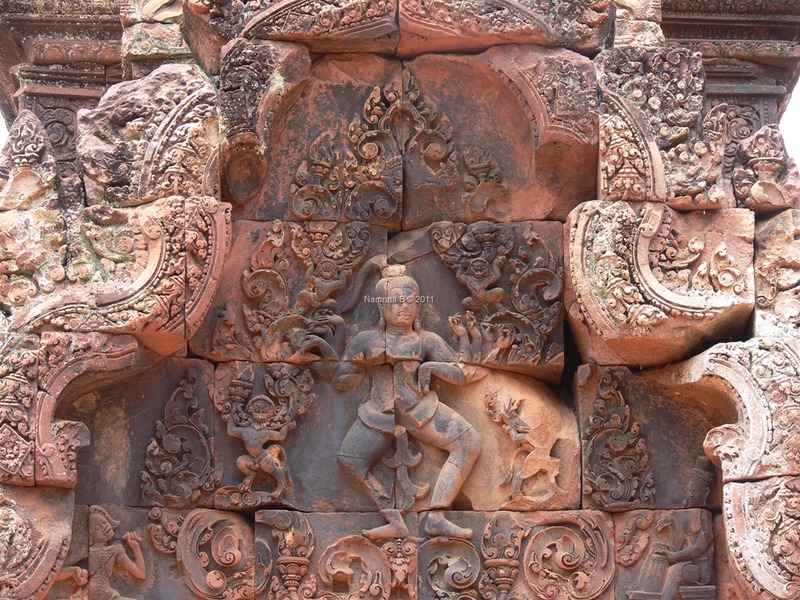 Next I went to Banteay Srei (Citadel of Women). Began in 967 AD. Considered one of the best temples because of its art. It has beautiful intricate carvings and is made fr om red sandstone & so is very pretty. Most of the other temples are grey. It was one of my favourites of all the temples I saw. On Nikki’s recommendation (the one I contacted on Couchsurfing) I went to see the Banteay Samre (Citadel of the Samre) (named after the population which lived in the region around Phnom Kulen, to the northeast of Siem Reap). It’s usually skipped by most tourists & I was glad I went here. Like most temples, moats for water form a key part of the temple. In fact it set in concentric squares, each separated by a moat which is now dry. By now I had started recognising some of the typical temple features. Circular window bars, apsaras on pillars, the triangular towers. But even with all the similarities, each temple is different and has its own charm. 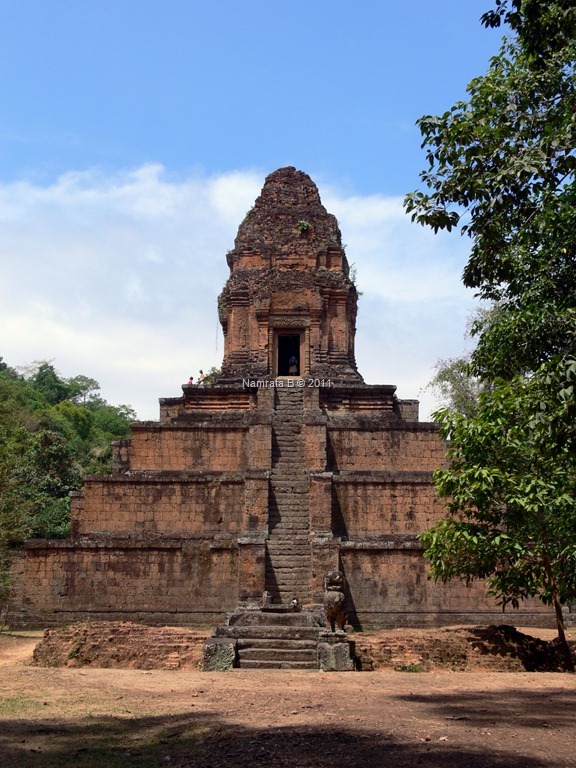 The other temples I saw on the same day were Pre Rup and Banteay Kdei. After all the walking around in the hot & humid weather, I was looking forward to the comfort of my room! There’s a lot of walking and climbing involved so the temples are not a place for kids or older people. Many of the Temples were designed as temple mountains, representing Mount Meru, so the stone steps are high & also uneven. In many cases the steps are not wide enough for the foot, so you have descend and ascend sideways. There’s a slight sense of adventure in climbing up all the steps to the top & well worth it for the view. 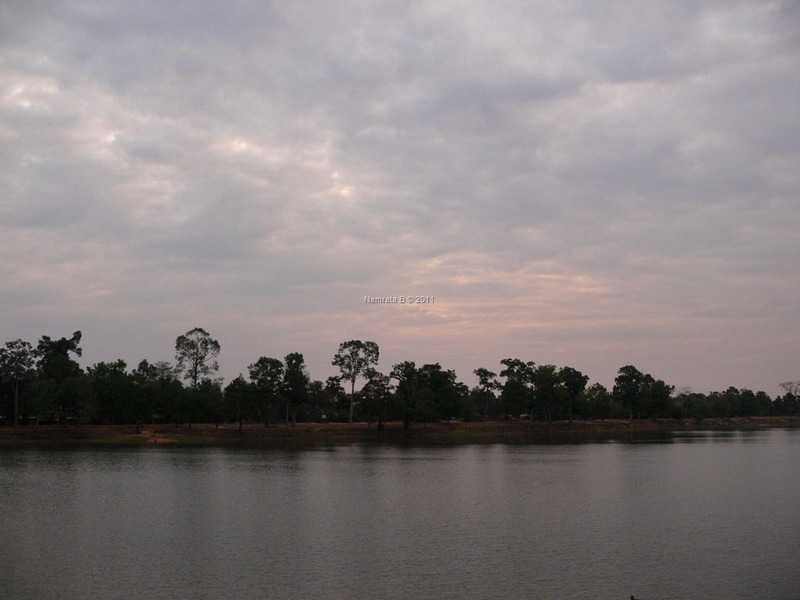 Right opposite Banteay Kdei is the Sra Srang, a lake that’s a popular spot to see the sunrise from. This is where I headed on Day 2 at 5 am! As did many others. But we were all disappointed as it was a cloudy day & the sun was a sliver of red that went behind the clouds almost as soon as it rose. It was a great way to begin the morning though, sitting there at the lake & watching the sky slowly light up. And even better, all the temples I saw next had no crowd as it was still early. 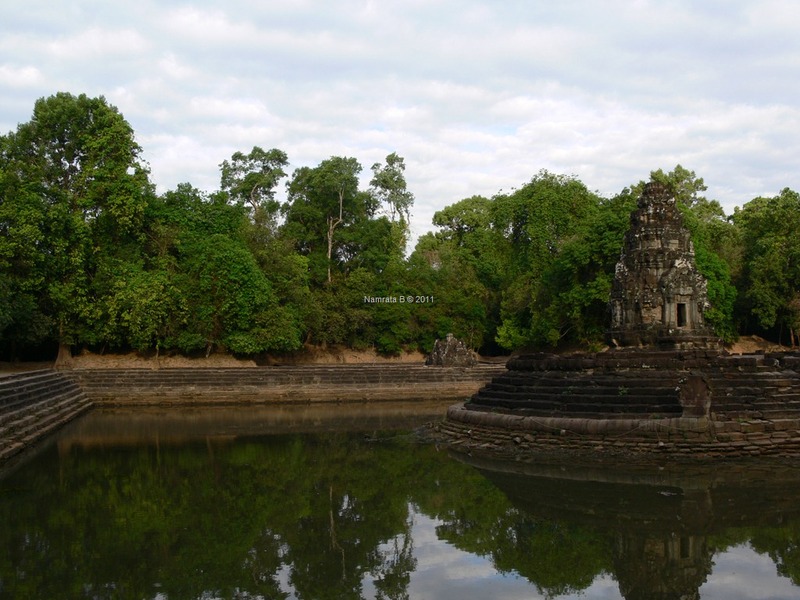 Starting with East Mebon, a 10th century temple dedicated to Shiva, I went next to Neak Pean (the entwined serpents). This was unique & I loved it. There’s a long boardwalk leading upto it as it has water surrounding it in the monsoon. The temple itself has several pools on all sides – 8 of them – but all dry now. In the centre is the temple, surrounded by water. The entwined serpents are at the base of the central structure, I couldn’t get there as there’s water all around. It looks quaint, surrounded by green trees & its very, very quiet. It is not imposing as it isn’t a grand, tall structure & that adds to its charm. 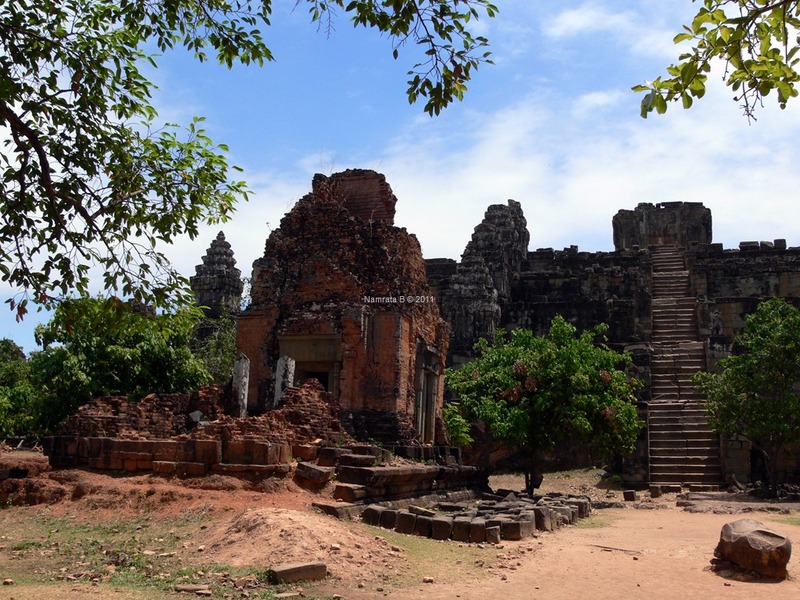 Right after this, I headed to Preah Khan (Sacred Sword) – its largely unrestored so has a lot of rubble. It’s also maze like as it has entrances from all 4 sides – N, S, E, W. Its only when you climb up (through a lot of the rubble) that you see the temple towers, otherwise, because they are all set so close, you can’t see them from the bottom. You can easily get lost in this one. So after all this & the early start to the day, it was time for the famous Angkor Thom and Angkor Wa t. I had a lunch break to fortify myself before I went to some of the largest temples. Angkor Thom was the last and most enduring capital city of the Khmer empire. 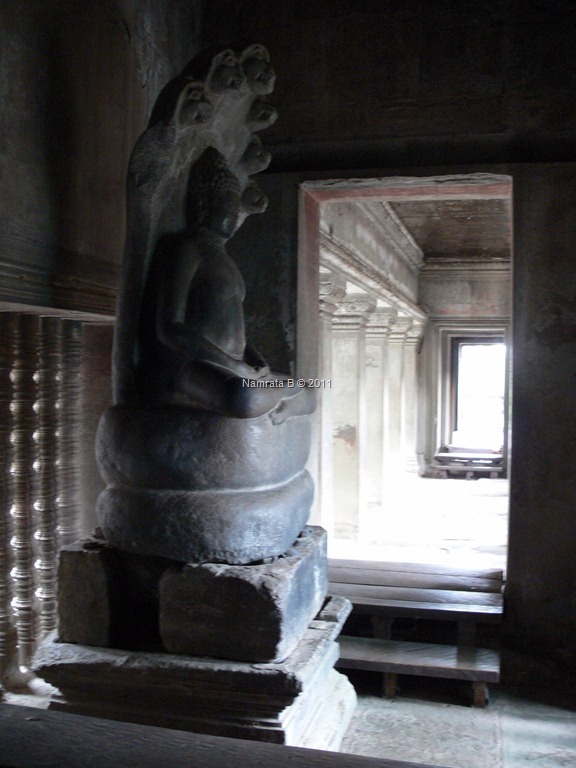 It was established in the late twelfth century by King Jayavarman VII. It covers an area of 9 km². It has a central road running through it, and structures, temples and trees on either side.The Terrace of Elephants with beautiful carvings, the Phimeanakas where the king spent the first watch of every night with a woman thought to represent a Nāga, the Baphuon which is under restoration & of course the famous Bayon. While there is a lot of walking involved, it’s also through very green patches, lawns, trees, shrubs & its quite pretty. 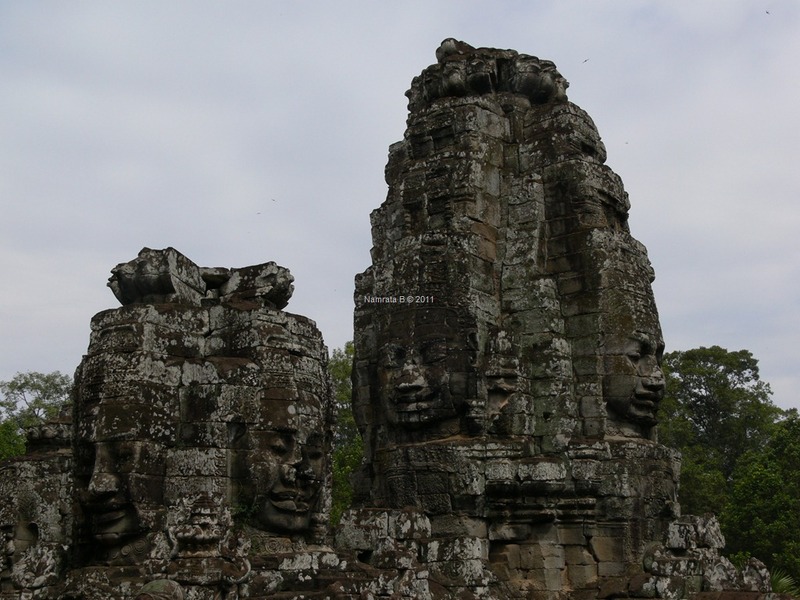 With its 54 towers, each with the head of Bayon on all four sides, there are 21 6 heads staring at you as you enter the Bayon temple! Who’s head is it? Well it may represent the king himself, the bodhisattva Avalokiteshvara, guardians of the empire’s cardinal points, or some combination of these. There are many steps & towers to go through and this one because of its popularity was full of tourists. No moments of solitude possible here. The main entrance to the Bayon – through which I exited – is grand and imposing with Devas & Asuras lined on either side of the road. Does this sound exhausting? Well it was! And my day wasn’t over yet! 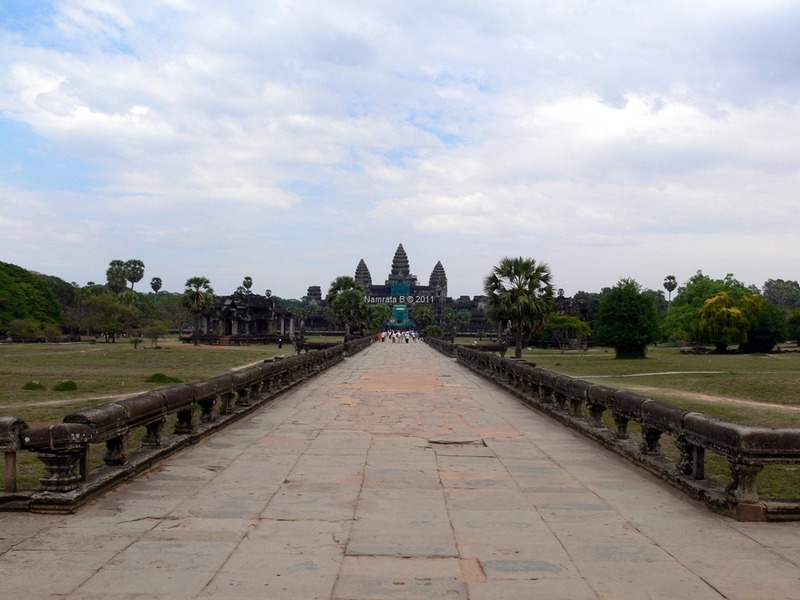 A lot more to come culminating in the famous Angkor Wat – in the next post. I landed in Siem Reap to weather exactly like Mumbai – hot, humid and sultry. That didn’t worry me since I was used to it. The Old Market (Psar Chaa), Pub Street and all the main restaurants were close to my hotel so I walked there often. Amongst the first few little restaurants I spotted was an Indian one, India Gate, promising the best Indian food in Siem Reap & an authentic Indian chef. 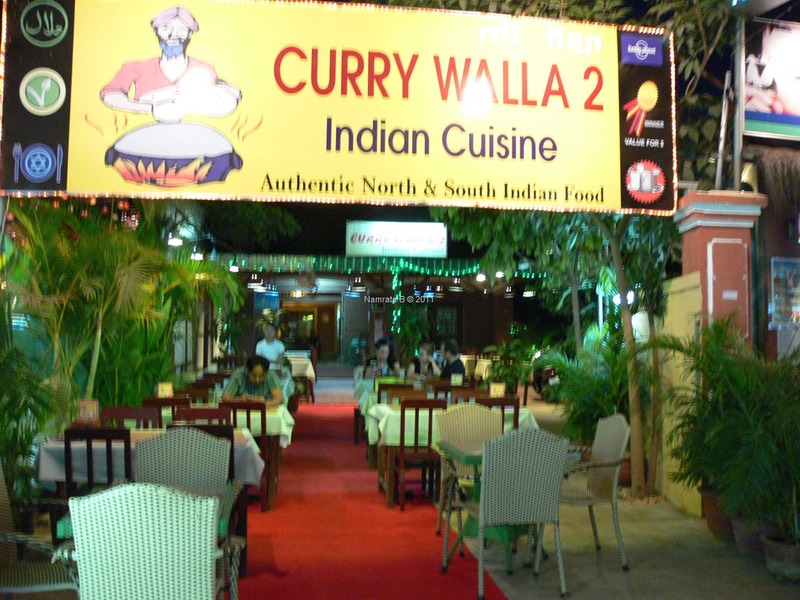 Not that I stepped into even one, though I found there were, in fact, a few more – Curry Wala being another one with multiples branches. What I found strange initially was men on bikes who stop & ask if you want to hop on. It’s a taxi service of sorts, an alternate to hiring a tuk tuk. But it can seem stalkerish until you read about it in the guide books! The Old Market area is somewhat reminiscent of Goa. But with better dressed tourists! The women probably make an effort to cover a little more of themselves after reading the guide books. 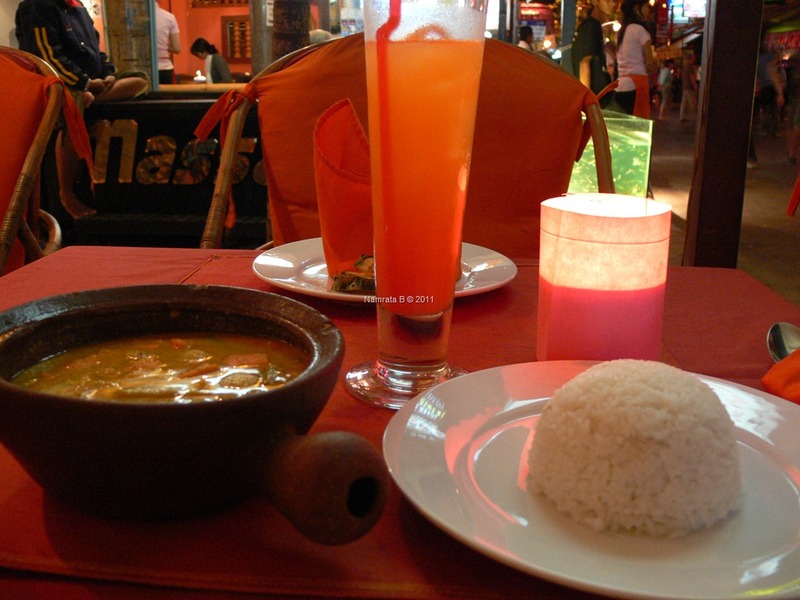 Strongly recommended online, Khmer Kitchen is run by a local & has 3 restaurants in a 1 Km radius. It’s definitely great food at great value & all the food i had there was excellent. They also have deals such as free welcome drink, cold towel, happy hour till closing, or free beer/ coconut water with lunch. It isn’t that hard to find vegetarian food but if you are concerned about the vessels that it’s being cooked in or its proximity in the kitchen to non-veg food, you would then find it very difficult to eat anything at most places. 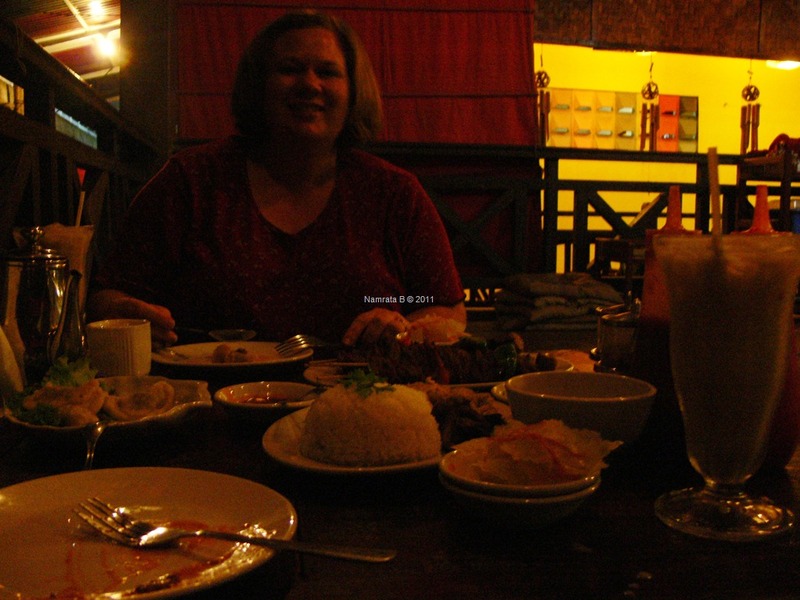 But otherwise, you can pretty much find any kind of cuisine you want, including the local Khmer curry and rice & amok – fish curried and steamed in banana leaf (which everyone told me was excellent). And how can you wrong with a street called Pub Street! Alcohol is cheap, drinks are potent, and everyone is having a good time. I bought some souvenirs at the markets, most of which begin at 3 & 7 pm. Bargain, bargain, bargain – just as any other self respecting Indian would! In fact it’s tough to buy things that don’t look like they come from India! 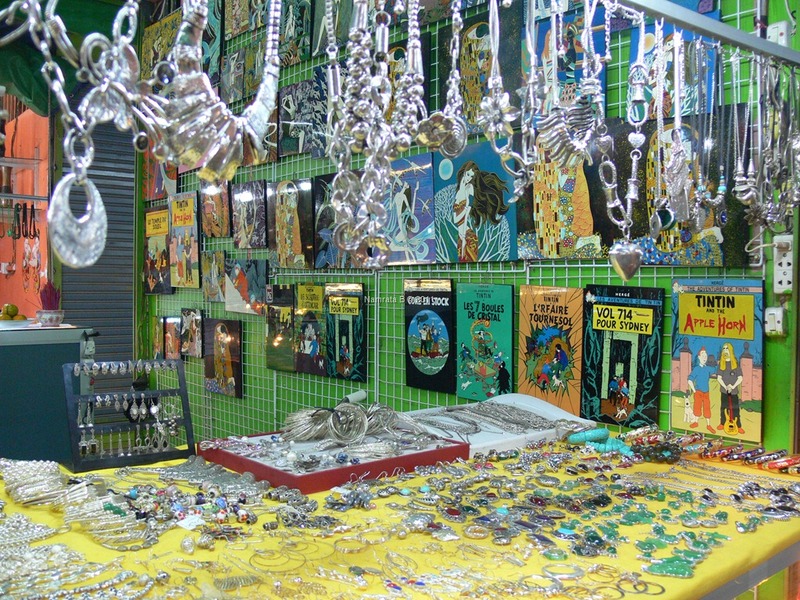 From scarves to cloth bags to carved Buddha heads to jewellery, everything looks like something you would find here except for the Tin Tin posters that abound.. People use the same tricks of the trade to make a sale. “You are first customer” “I give you good discount because you are early” etc. Don’t fall for anything. If you really want to buy something, spend time walking around different markets, you will find prices drastically fluctuate. But unless you choose to buy specific stuff like Angkor printed scarves or the head of Bayon (will explain in a later post), you are better off saving your dollars. USD is freely accepted currency here so you don’t need to change into Rial – in most cases, I even received the change back in USD. Nikki, an American living in Siem Reap, teaching English to students in a vocational school, who also runs the local Couchsurfing group, very sweetly picked me up from my hotel on her little scooter & took me to this fantastic veg restaurant called Vitking for dinner. I would never have found it by myself! It was fascinating to hear about the kind of work she is doing & the aspirations of the Cambodian people, driven by the tourism industry. She came to Cambodia on a trip once and immediately felt at home. She also works with local NGOs to help them get more professional and hence get better funding. A great dinner that, with excellent food. She gave me the very useful tip of visiting Banteay Samre, which is a temple near the more popular Banteay Srei, and one that most tourists don’t visit. Definitely a good tip because I am glad I didn’t miss it. Walking around the area on another day, I went further up towards the Stung River. A completely different area from the Old Market, this has wide roads, a huge temple built in the 14th century and the National Museum and a large Park further up the road. With much fewer tourists, it’s quiet and relaxed. Most local Cambodians, however, see you for what you are – a tourist – and hope that you will buy something. If a kid just gives you a trinket saying it’s for good luck, beware, most of the time they do want to sell it to you. I was offered everything from bangles made of cane to paper rings to flowers. Some insisted it was free, others asked for money. Can’t blame them since tourism is the mainstay of their economy. But, in general, the people are very friendly and helpful. They have warm smiles & many know about India. Everyone doesn’t know good English, many speak a basic version. When I tried asking where I could get a SIM card for my phone, I was usually handed a business card of the place! All about the Temples in the next post. As it has happened in the past, I realised the financial year was nearing an end and I had about 26 days of leave left, of the total 30 that I am entitled to. Firstly, I couldn’t believe that the whole year had gone by and I hadn’t travelled anywhere! Secondly, I would have been miserable had I done nothing about it. So I planned a trip to Singapore and Cambodia. Singapore was a long pending one. I kept threatening friends that I would come over soon, but never did. So I decided to finally make good on the threat! Of course, Murphy’s Law had to prevail. So when I checked my passport, it was just 6 months away from expiring and I wouldn’t be allowed to enter any country let alone stay for a while. So that began a chapter of getting my passport renewed, but was not as painful as I thought it would be. And then I planned again. Singapore for a bit, then to Siem Reap, back to Singapore and then back home. 9 days in all. I won’t be blogging about Singapore since it involved meeting friends, enjoying the super nightlife and of course, shopping. It wasn’t my first trip so I didn’t do any sightseeing. As glorious & memorable as it was, its not what you want to hear about, do you? I shall head straight onto Siem Reap. I have always wanted to visit the Angkor Temples and it’s been somewhere on my mind, thoughts usually ending with a ‘some day’. So when I was looking at what places I could go to from Singapore, I began reading about Cambodia and decided that was it! Fairly easy to go to as well since there’s visa on arrival. March is the end of the high season for Siem Reap (the town close to which all the Angkor Temples are located) since it’s the beginning of summer. This also suited me well as it was not difficult to get flight tickets on days of my choice and hotel bookings too. I booked everything online & I can tell you that there is no need for a travel agent. I don’t believe in them. Spend sometime reading up about your destination online, make your itinerary & just do all the bookings. Simple. My trip started on a fab note when I was upgraded to Business Class on Silk Air. Was it safe for me to travel by myself? Absolutely. Since I am on Couchsurfing, I got in touch with a few couch surfers and got a few tips beforehand. There’s a great Cambodia forum on CS which answers most questions & any other questions I had, I asked Nikki, who runs the forum. She was extremely helpful and even offered to take me to dinner to a great new vegetarian restaurant when I got there. I would have of course, liked to Couchsurf in Siem Reap but couches weren’t available for the dates I wanted. 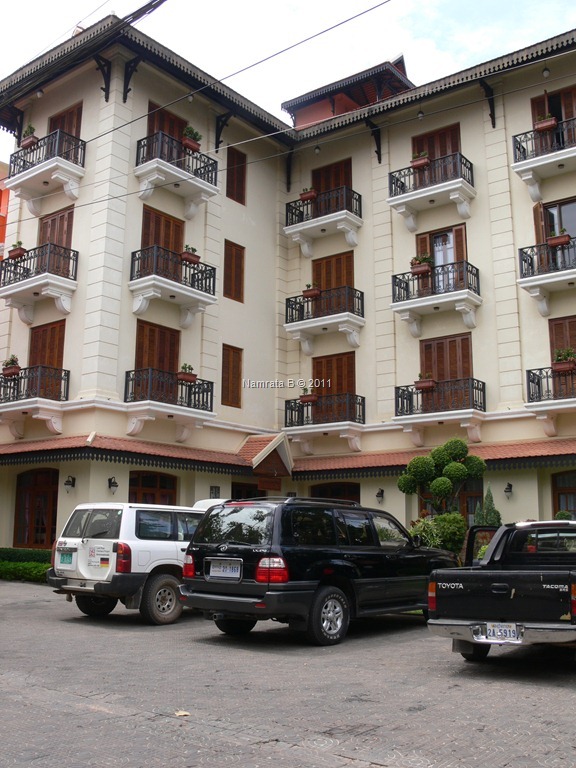 So after a lot of research, I chose the Steung Siem Reap Hotel, and did not regret it for a minute. It was a fantastic location, right next to the Old Market and Pub Street, the central area for food, nightlife & shopping in Siem Reap. Unlike people who would stay at hotels closer to the temples and have to take Tuk Tuks to come to this area, it was a much better option to stay in this area as the temples only take 30-40 minutes to get to by Tuk Tuk. Being from Mumbai, that’s a breeze! Why solo? Well, it just so happened this way. I have travelled solo and with friends. Both are different experiences and there’s something good to be said about both. With friends, there’s never a dull moment, you share all your experiences, and enjoy their company. Solo travel gets you to meet different people since you are more open to conversation with people sitting next to you. It’s lovely to speak to people from different cultures, doing different things in life and a welcome change from all the digital, marketing & advertising conversation that I am surrounded by in Mumbai! I met Gerda, a Dutch lady, travelling solo on my flight in, she stayed at the same hotel and was on the same flight out. So the journey to & fro became memorable instead of it being just another airport-flight-airport-hotel experience. 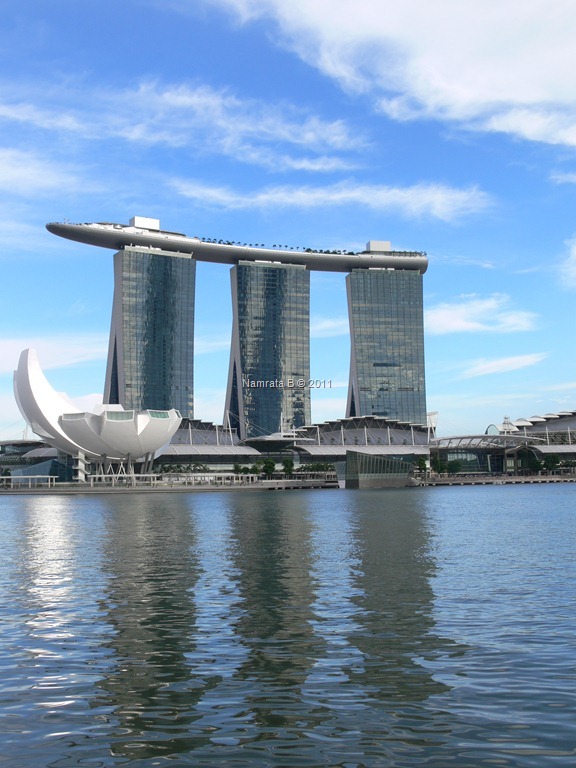 Gerda lives with her family in Singapore & was taking her first solo break from her life and kids for a few days. Some ‘me-time’. I didn’t plan any of my temple visits with her but I very much enjoyed chatting with her about my life & hers, India & its culture, and her travels all over the globe. Next post will be about Siem Reap & of course, the Temples! I got some great advice from these blogs & forums, so do check these out too.